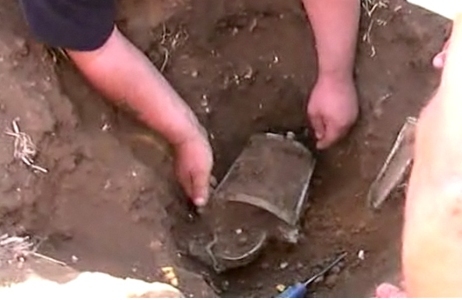 A new complete Roman lantern has been found in Britain in 2009, but only in 2010 was announced. As very often happens in Great Britain, where a good law allows metal detectorists to search and notify their findings to authorities, the discovery was made by a metal detectorist, Danny Mills, that found the large bronze object whilst scanning a field near Sudbury, and immediately notified the discovery to the Suffolk Archaeological Unit. The find is significant as only fragments of similar lanterns are held at the British Museum, and only few complete examples were excavated in Pompeii and in Lybia. The interest in the lantern even earned it a feature in the BBC series "Digging for Britain". 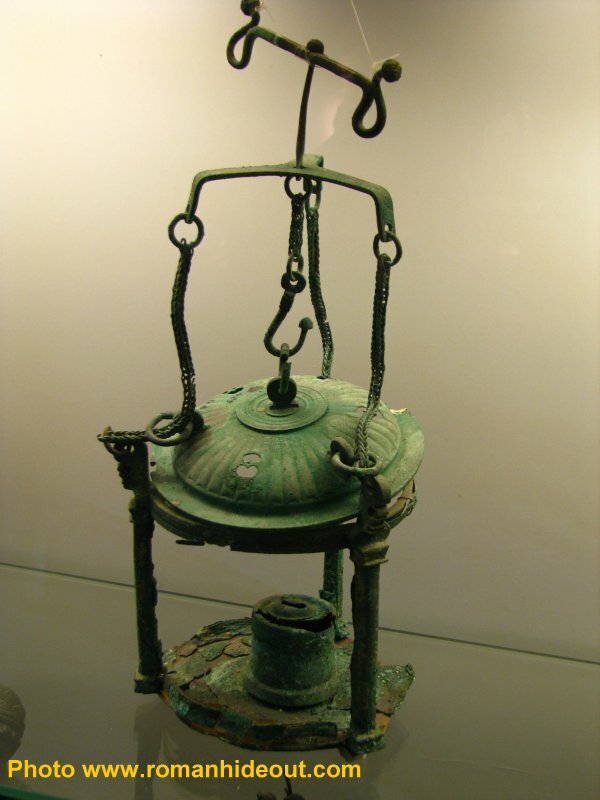 The Roman lantern dates from between 43-300AD, and is similar to a modern hurricane lamp, with the naked flame protected by a thin sheet of horn or parchment which would have been scraped and shaped until it was see-through and then wrapped around the bronze frame of the lantern to protect the flame from the elements. As the horn/parchment shield is an organic material, it would have rotted away over time and did not survive when the discovery was made. The flame of the lantern would have been ignited by lighting a wick placed in (olive) oil, held at the base of the lamp, in a similar way as a modern tea light candle. The lamp, found on land belonging to Mr and Mrs P Millar, has been donated to the Ipswich Museum, where work began immediately to stabilise and protect the fragile lantern from further decay. Of particular note is the chains which the lantern would have been suspended from were still intact, and look and move as any modern chain would rather than corroding into a metal lump over the centuries. Suffolk is known to have been a hot spot for Roman villas and country estates in the 2nd Century AD, and it is thought this lamp could have been used to move between a villa and an outhouse during the dark. Once the lamp had undergone conservation, it was then observed under microscopes to prepare it for public display. The discovery is yet further proof that amazing objects from our cultural heritage still remain undiscovered under our feet, and it is not just archaeologists and museums who play the role in saving our past, but everyone can participate. A frame took by the video footage by the author of the discovery. A similar lanter found in Lybia, now in the Tripoli Museum. Click on the image to see other views.